Hi, I want to buy the service maintenance kit for our HP LaserJet CM6040 colour printer at the Viridian Group in order to have it cleaned / serviced. However, I can't find it on your website when searching, could you please advise? Thanks, Matthew. We don't currently offer a specific maintenance kit for the HP Colour LaserJet CM6040 printer but we do have several maintenance items such as the fuser, transfer roller, image transfer kit and drum units, as listed above. 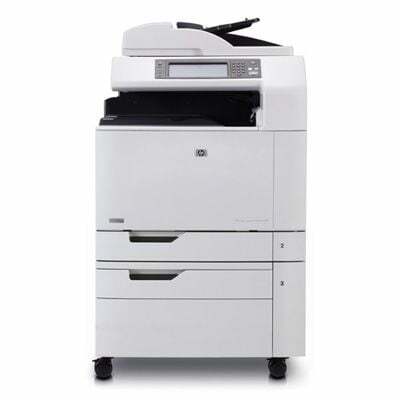 Crisp and clear documents are what the HP CM6040 printer does best. After some time your HP CM6040 will run dry of printer toner, and when that does happen you'll quickly find that buying HP CM6040 toner tends to be costly. However, you do not need to fret about shelling out the steep prices you'll get on the main street because now at Cartridge Save you can pick up all the HP CM 6040 cartridges you will want at really low prices. Save money by shopping at Cartridge Save! There's no reason why you should fork out so much on the CM-6040 original cartridge or CM6040 compatible toner down the high street when it is simple to save a wadge of cash shopping with Cartridge Save. You have one hundred per cent peace of mind when ordering Colour LaserJet CM6040 toner cartridges from us seeing as every one is underwritten by a quibble-free money back guarantee. Bear in mind that every single purchase also has free delivery, mostly delivered to you next day!